Parenting can be very stressful. Add in other responsibilities, like work, and the stress intensifies. It’s easy for parents to get burned out. It happens more often than you might think. If you’re feeling burned out, you’re not alone. There are ways to manage it. Check out these articles to help you find some insight into parental burnout and how to recover from it. In Sarah Watts article in New York Magazine, she cites various studies that relate work burnout to parental burnout. Watts discusses the correlation and stresses that can cause burnout to happen. In this article, Neil tackles the symptoms of parental burnout and in which situations burnout is likely to occur. He discusses how burnout can affect your role as a parent and that no two cases of burnout are the same. While one case might be extreme, another can seem, well, not so extreme. But burnout doesn’t have to be extreme to be real. CNN correspondent Kelly Wallace tackles the issue of parental burnout and recognizes that many people consider it to be a myth. She cites a study that found that nearly 13% of parents have experienced burnout. Parents partly blame burnout on societal pressures to be the best at work and at home. Wallace references many situations that have occurred and conversations that have taken place on the topic. One major cause of burnout for parents is doubting your abilities. Neil takes a question from a parent that is having trouble finding a balance of responsibility with her 16-year-old son. Doubt can have a parent feeling exhausted which can spiral into feeling burned out. Erin Schlicher, author at Empowering Parents, cites exhaustion as a key cause resulting in parental burnout. She discusses how many parents find themselves in these positions and provides solutions on how to overcome that feeling of burnout. One of the causes of parental burnout is the lack of self-care. In this podcast, Neil take a question from a mother that wants to know how to balance her needs with the needs of her children. A huge step in avoiding burnout is getting your needs met. As a parent, you’ve heard about parental burnout but you aren’t sure if you’ve reached that point yet. Freelance writer Michelle Stein contributed a blog on Baby Center that highlights signs you might not realize are actually a result of feeling burned out. We hope these articles have helped you learn more about parental burnout and that you are not alone in feeling burned out. 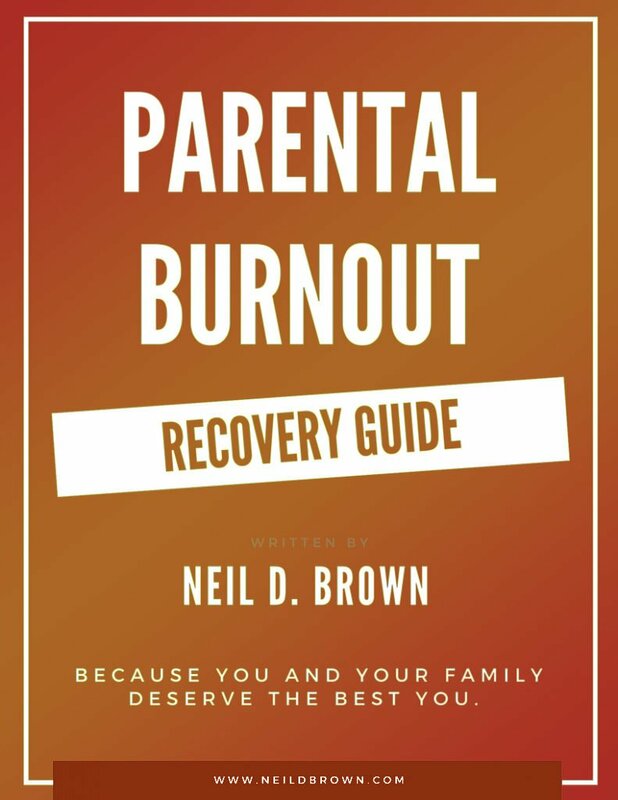 Parental burnout is a topic Neil covers often in his podcast. If you want to stay up-to-date on the newest podcasts, be sure to subscribe to our weekly newsletter. If you haven’t already, grab a copy of Neil’s book, Ending the Parent-Teen Control Battle. Many readers have said it’s the least expensive and best counseling session they’ve ever had. Remember: take care of yourselves; you need it, you deserve it, you’re worth it.